You are here: Home / Past Events / Launch Party! 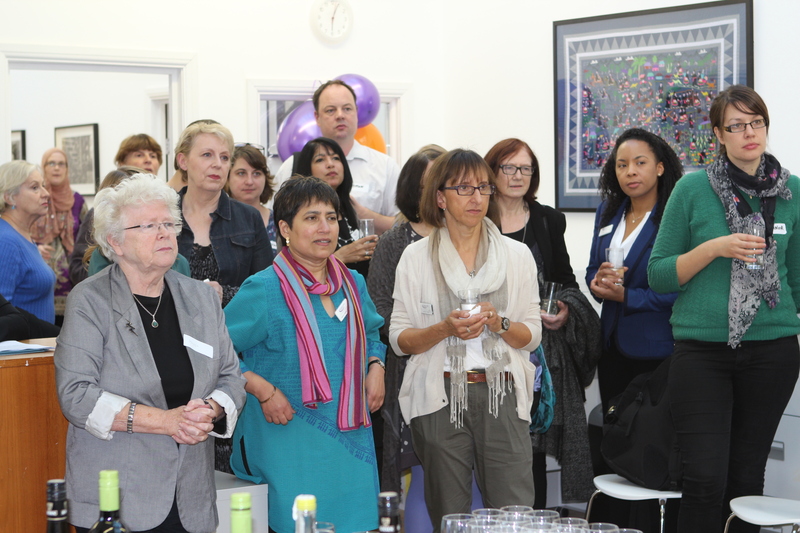 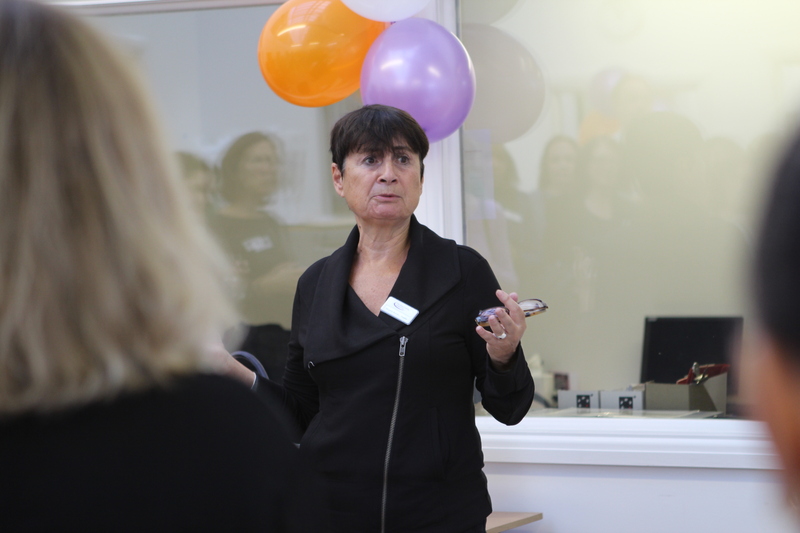 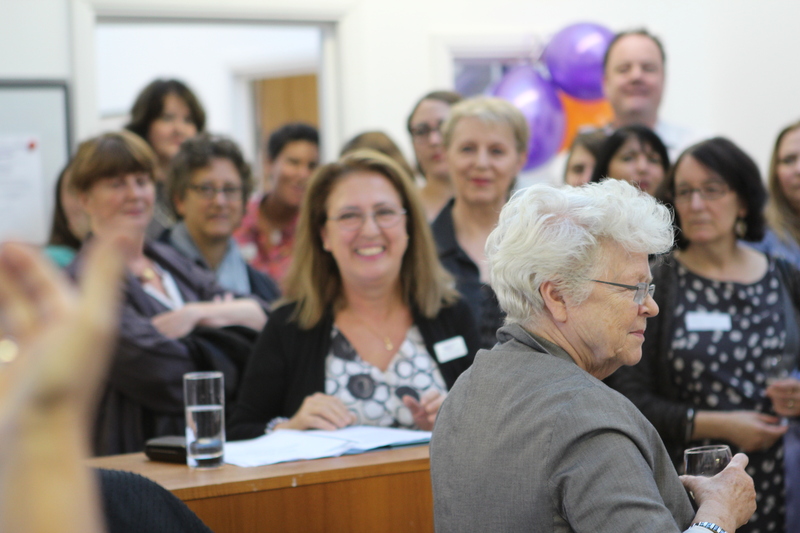 The Maya Centre celebrated moving to our new premises with a party of friends and supporters on September 19th 2013. 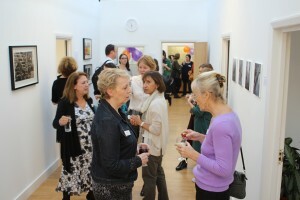 It was a gathering of old friends and new; from current funders and staff to ex-trustees and founder members. 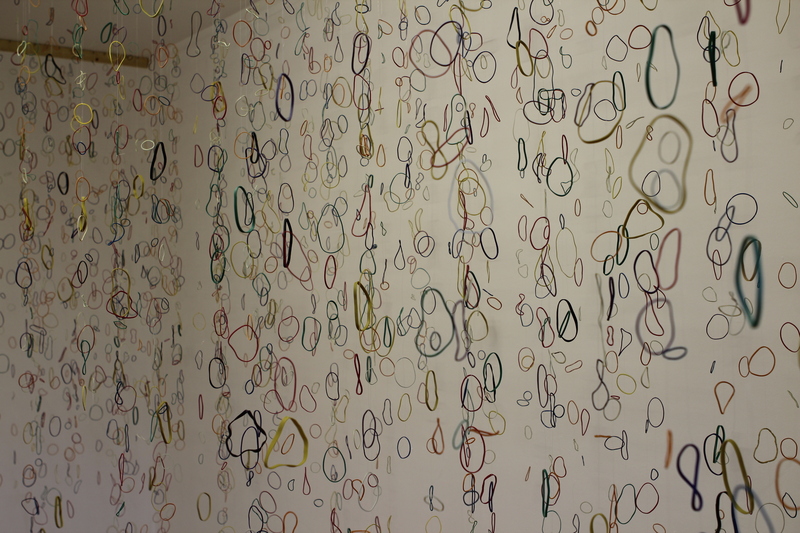 Three local women artists displayed their work, which was all related to women’s mental health. The staff gave a presentation of their work and we were joined by MP Jeremy Corbyn, our patron and long term supporter. We had a lovely evening celebrating the work of the Maya Centre and looking forward to an exciting future in our beautiful new space. 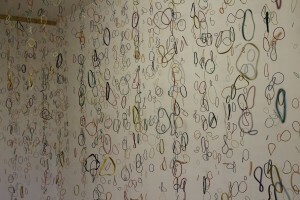 Local woman artists displayed their work, including a wonderful installation of elastic band holes! 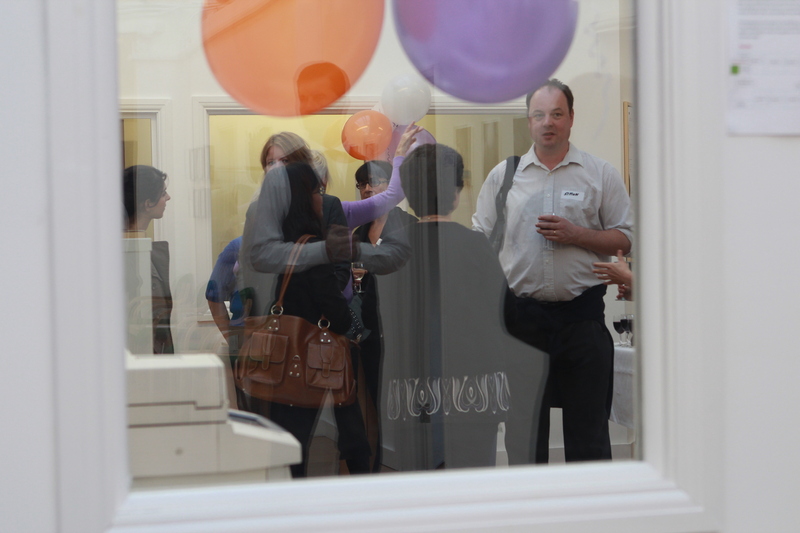 People chatted and admired the artwork along the corridor.